My family LOVES pancakes! It’s the breakfast they request the most, and who can blame them? Pancakes are a breakfast favorite. I’m not a fan of store-bought mixes for a few reasons: They are usually pumped full of unnecessary ingredients that I cannot pronounce, and they are super pricey. The truth is, making your own all-natural homemade pancake mix is not only more economical, it’s easy, which means there’s really no excuse. Make up a big batch of this homemade pancake mix and store it in an airtight container, and kick those stores-bought, laboratory-created mixes to the curb. You’ll thank me later. The pantry staple recipe that keeps on giving: pancakes for the whole fam for weeks! 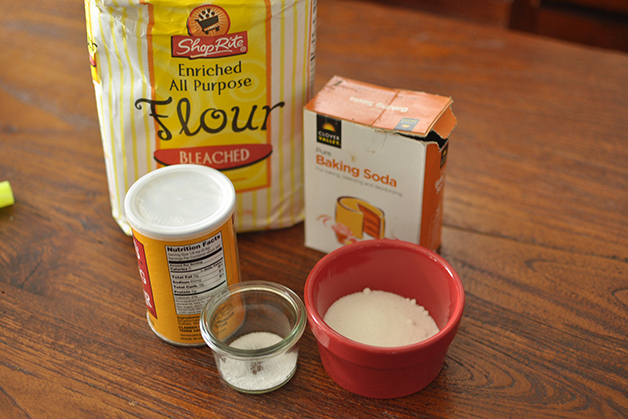 Step 1: In a large bowl, mix all ingredients together and keep in a lidded container in pantry or refrigerator. This pancake mix will make 36 pancakes, so you would only use about a third of the mix for a family of four per meal. If stored properly, you can use this mix for about two months. 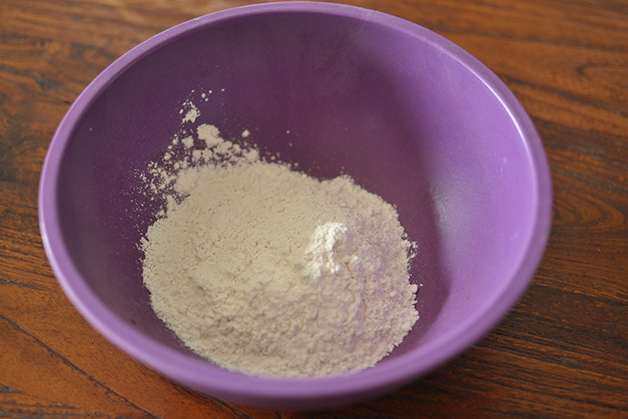 Step 1: Pour dry pancake mix into large bowl. Slowly add the buttermilk and whisk about five times. If more liquid is desired, add more buttermilk. Step 2: Next, add the eggs and oil, and whisk just until blended. Whisking too much will create a tougher pancake. Step 3: Heat iron griddle or non-stick skillet and grease pan with butter. Pour about ¼ cup of batter onto griddle or skillet. When the pancake bubbles and is golden brown, flip carefully. Do not press down on the pancake as this will make you lose your fluffiness.